This was a good week for the blog. 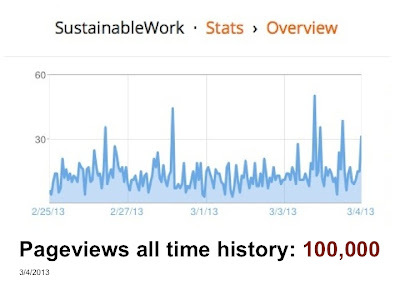 SustainableWork will have been published for 8 years next month. I started writing this while I was running our last business (engineering), largely to talk about what we'd done in our previous business (graphics/printing). Now I'm working in and writing about new opportunities in food entrepreneurship. Visitors to SustainableWork have jumped with the writing about food entrepreneurs and economic development. 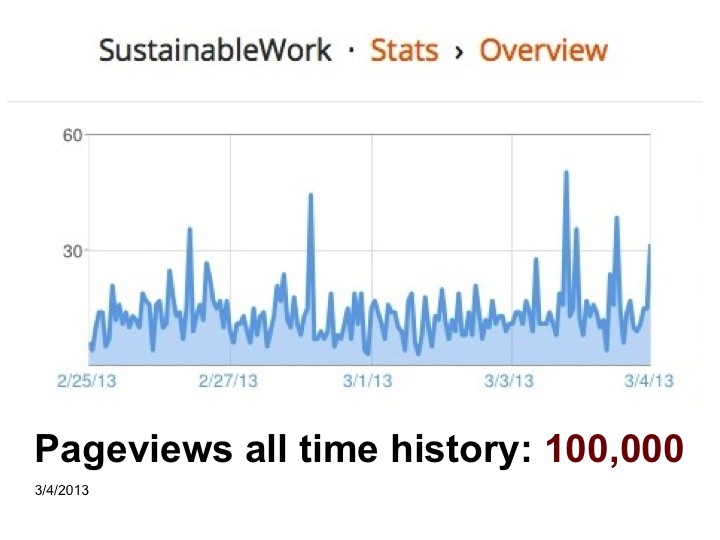 This week the blog went over a nice pageview milestone. Thanks to all visitors and friends!